Rotate tablet to experience the site. 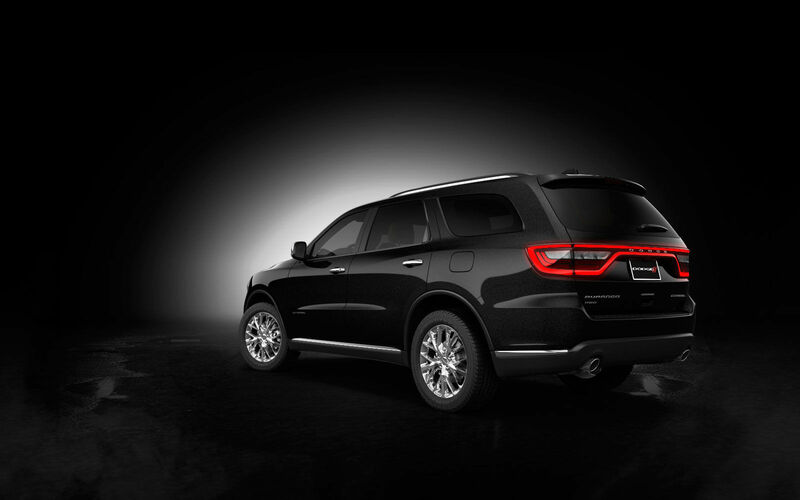 The 2014 Dodge Durango has too much awesome to fit in portrait mode. Look compromise in the eye without blinking. 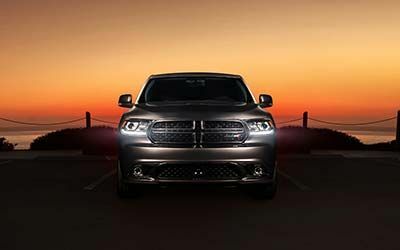 The 2014 Dodge Durango makes no sacrifices. Rugged. Refined. Uncompromising. 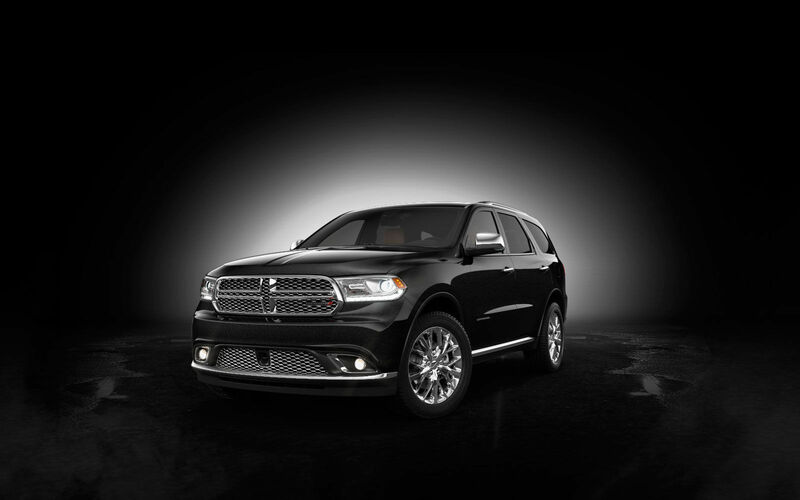 All Durango images shown are preproduction models. 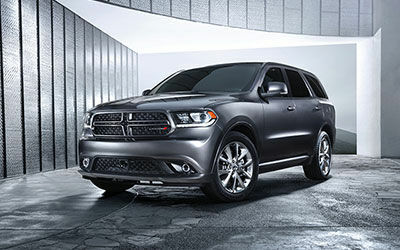 The 2014 Dodge Durango will be available Fall 2013. 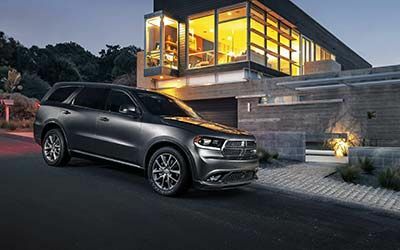 The terrain doesn't stand a chance against Dodge Durango thanks to its new available 18- and 20-inch cast-aluminum wheels in seven all-new designs and finishes. Also available in polished aluminum. Also available in polished aluminum with Gloss Black pockets. Also available in polished aluminum with Mineral Gray pockets. Put a stop to mediocrity. Our designers left nothing untouched, crafting a new LED racetrack taillamp with 192 individual LEDs that blend into one seamless ribbon of light. Limited model shown with available features. 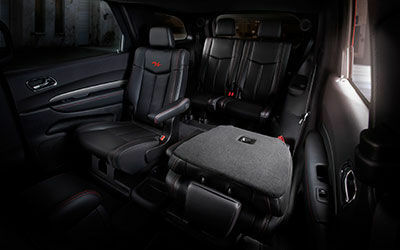 The available class-exclusive 8.4-inch Uconnect® Access System with WiFi (Limited, R/T, Citadel) is designed around you, with 3-D maps, on-demand WiFi (available with paid subscription) Hotspot and downloadable apps. 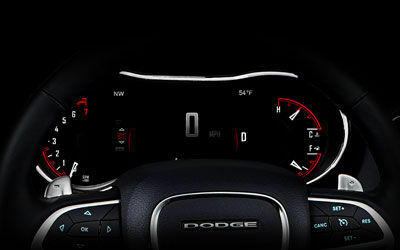 Buttons on the steering wheel give you control of the new dynamic digital instrument cluster with customizable 7-inch liquid crystal display, while standard paddle shifters give you manual shifting control of the eight- speed automatic transmission. Technology takes a backseat to no one. 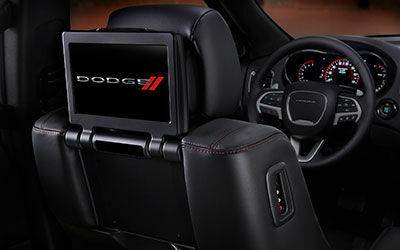 Second-row passengers get a taste of hi-tech with an available dual-9-inch screen Blu-ray™ DVD system with inputs for High-Definition Media Interface (HDMI) and RCA cables plus wireless headphones and remote. SXT model with Ralley appearance group shown. 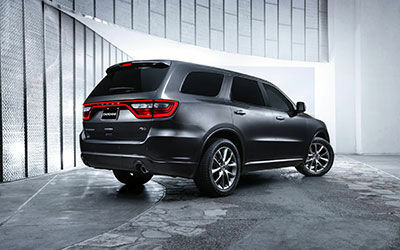 Dodge Durango puts the Best-in-Class power of a 3.6L Pentastar® V6 (up to 295 hp) or available 5.7L HEMI® V8 engine (360 hp & 390 lb-ft of torque) to the pavement with grace and precision thanks to a near 50/50 weight distribution, performance-tuned suspension and ultra-stiff body structure. 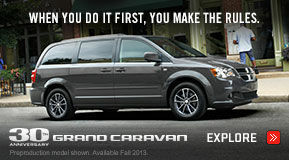 It even has a Best-in-Class towing capability of 6,200 lbs (V6) and 7,400 lbs (V8). Protect all that is yours. 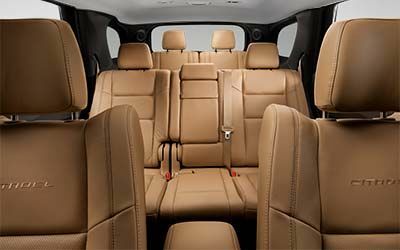 More than 60 standard and available Safety & Security features help keep you and your loved ones safe and secure in all conditions. Connect directly with police, fire or ambulance services, or summon roadside assistance from inside the vehicle. 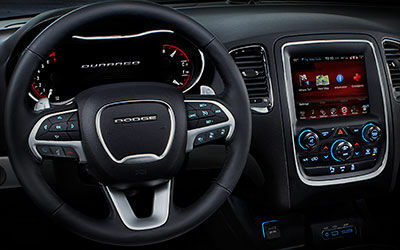 Get audio and visual alerts when your vehicle may be approaching another vehicle too quickly. 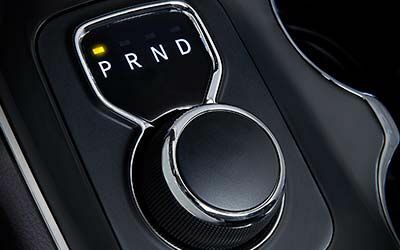 Maintain a selected distance from the vehicle in front and even come to a controlled stop when cruise control is engaged. The features make all the difference. 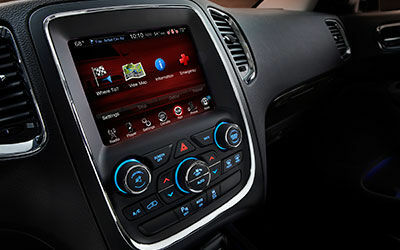 1 The Uconnect® Web feature is not intended for use by the driver while the vehicle is in motion. Always drive safely. 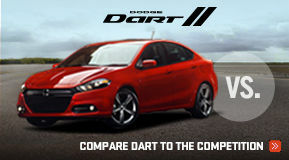 2 Based on manufacture's estimated 17 city/25 hwy mpg with 3.6L V6 engine and eight-speed automatic transmission, RWD. Actual mileage may vary. 3 Based on 2013 Ward's Mid-size Sport Utility vehicle segmentation. 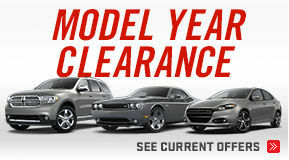 Excludes other Chrysler Group LLC vehicles. 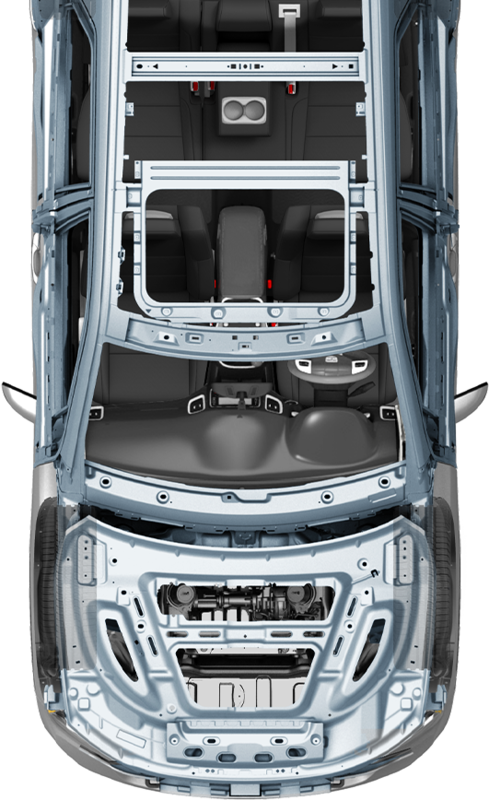 4 The forward collision warning system is solely an alert system for the front of the vehicle which does not take any actions to change vehicle dynamics to avoid a collision; not a substitute for active driver involvement. The driver must remain aware of traffic conditions and be prepared to use brakes to avoid collisions. 5 Adaptive Cruise Control is a driver convenience system, not a substitute for active driver involvement. The driver must remain aware of traffic conditions and be prepared to use brakes to avoid collisions. 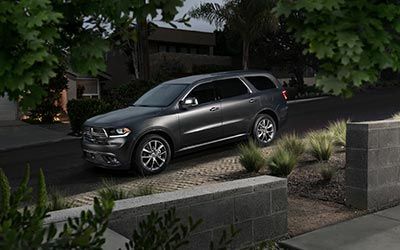 Automobility Program, Avenger, Blacktop, Caliber, Challenger, Charger, Citadel, Crosshair Grille, Dart, Daytona, Durango, Durango Crew, Grand Caravan, Grand Caravan Crew, HEMI, 392 HEMI, Journey, Journey Crew, ParkSense, ParkView, Pentastar, R/T, Sentry Key, SRT8, Super Bee, SXT, the Ram's Head logo, TechAuthority, Uconnect, VES, Viper and Yellow Jacket are registered trademarks and Keyless Enter 'n Go, Mopar Vehicle Protection and Tigershark are trademarks of Chrysler Group LLC. MultiAir is a registered trademark of C.R.F. Società Consortile per Azioni., used under license by Chrysler Group LLC. Alfa Romeo is a registered trademark of Fiat Group Marketing & Corporate Communication S.p.A., used under license by Chrysler Group LLC. 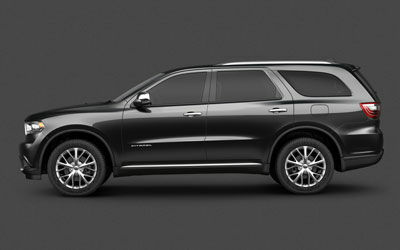 Chrysler Capital is a trademark of Chrysler Group LLC and licensed to Santander Consumer USA Inc. 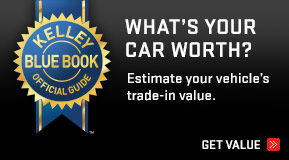 Lease agreements are owned by CCAP Auto Lease Ltd. and serviced by Chrysler Capital. The text, images, graphics, sound files, animation files, video files and their arrangement herein are all subject to Copyright and other intellectual property protection. These objects may not be copied for commercial use or distribution. 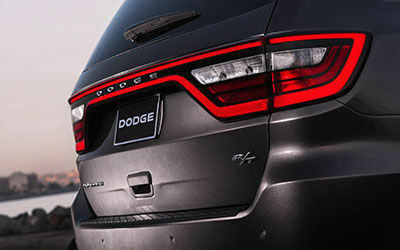 Unless otherwise indicated, all marks displayed on Chrysler Group LLC Internet sites are subject to the trademark rights of Chrysler Group LLC, including each of Chrysler Group LLC's primary brands (Chrysler, Jeep®, Dodge, Ram, SRT® and Mopar®), its model nameplates, and its corporate logos and emblems. Legal, safety and trademark information. 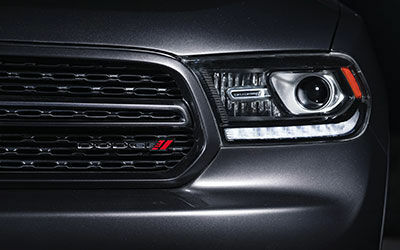 FIAT is a registered trademark of Fiat Group Marketing & Corporate Communication S.p.A. used under license by Chrysler Group LLC.